DOEprojekts continues to develop experiences and create artifacts using Coreforms and cultural Keywords as points of departure, and invitations to interact, engaging both the art knowledgeable and the art curious. We are presently preparing for a March 2015 installation at the Hyde Park Art Center's Muller Meeting Room. The installation will be funded by a 3Arts Matching Grant. We plan to install 7 graphite drawings titled "Gestures of Hybridity." 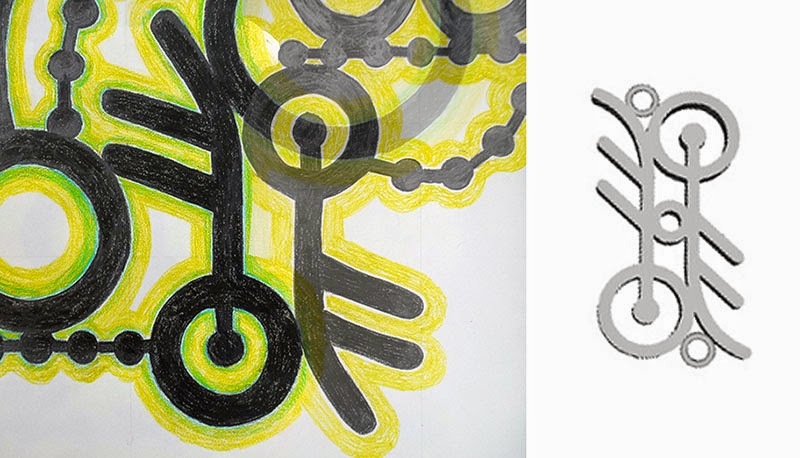 Each drawing, when traced with a stylus, will trigger sounds related to abstract associations related to hybridity. "Gestures of Hybridity" is influenced by readings related to two cultural keywords — Diaspora and Hybridity. Definitions of "diaspora" include "constant renewal of identity through creative hybridity." 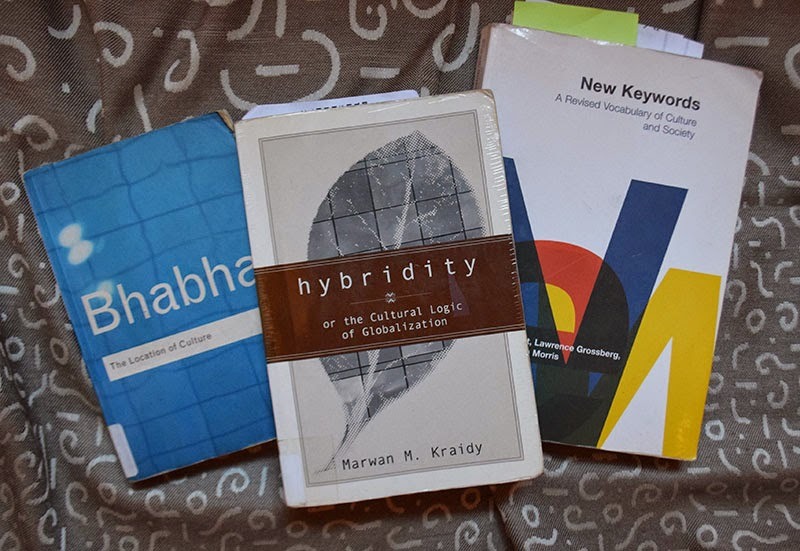 Hybridity is the "trend to blend" -- blending of visuals and sounds, blending of artists and participating viewers, blending of experiences and artifacts. DOEprojekts is currently working an artifact that is a hybrid of Coreforms — zero, one, hyphen, tilde, and period (circles, vertical and horizontal lines, swashes and points). We developed the abstract artifact after working on the large graphite drawings. Will it be part of a stylus that will produce sound on the graphite drawings? Will it be an artifact to be worn? Will it be an enormous bronze sculpture? Will it be a trivet?